Israel has for several decades presented itself as an “ally”, and one of prime importance, to the “West” and specifically to the USA. This is based on subterfuge. 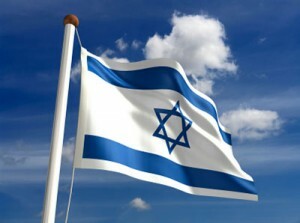 While it has long served the interests of Zionism and of Israel to be presented as the “bulwark of democracy” in the Middle East, surrounded by intolerance and bigotry and theocratic dictatorship, the long arm of Zionism across the world will support or oppose any movement, individual and state depending upon how Zionist interests are served. Several decades ago Israel began presenting itself as the “bulwark against communism” in the Middle East and as of vital strategic importune to the USA vis-à-vis the USSR in the region. Israel’s supposed anti-Communism was of recent duration, and thoroughly self-serving. No other writer has similarly been honored in East Berlin and in Jerusalem just as no other writer has had his manuscripts scattered in such diverse places as the International Institute of Social History in Amsterdam and the Institute for Marxism-Leninism in Moscow as well as the Central Zionist Archives in Jerusalem. Avineri states that many of Hess’ ideas were incorporated into The Communist Manifesto, with which he was involved in the initial writing. Hess was also deeply involved with the First International and served as Marx’s spokesman when Marx could not attend conferences. Revolutionary socialism in Eastern Europe was centred on the General Federation of Jewish Workers, the Jewish Bund, a constituent of the Social Democratic movement. This was absorbed into the Bolshevik party, the Ukrainian bundists joining the Bolsheviks in 1919, the Russian bund in 1920, and the Polish in 1939. The relationship between the socialist revolutionaries and the Zionists is indicated by meetings that took place between Lenin and Chaim Weizmann in the home of the industrialist Daniel Schoni, in Switzerland, recorded by French intelligence agent Jacques Levy. They discussed a “Jewish blueprint for the East” which had been formulated in Austria in 1908 by Jewish socialists and which called for a socialist state in Palestine, “which would serve as a base from which Marxist philosophy could then spread throughout the Middle East.” Weizmann stated to Lenin that the opening of Palestine to Jewish immigration rested on the overthrow of the Russian and Ottoman empires. Palestinians were not, and could not be, well disposed towards Marxism, despite the myth that continues to be perpetuated by Zionists, neo-conservatives, Christian fundamentalists, et al. The religiosity of Islam precludes any possible belief in atheistic creeds such as Marxism, and Islam has its own doctrines drawn from the Koran that encourage social justice alternatives to both Marxism and capitalism, such as that of Nasser’s “Arab socialism” and Qaddafi’s Third Universal Theory. Marxism in Palestine does not have an Arab or Muslim background. One of the earliest Marxist groups in Palestine was the Socialist Workers Party, established in 1919 as a party of the Poalei Zionists. In 1920 the primary theoretician of the party, Yaakov Meiersohn, left for the USSR, indicating the communistic nature of the movement. The party’s May Day demonstration was held under the slogan “Soviet Palestine.” There was a violent clash between the SWP cadres and the official May Day activists of Histadrut. In 1922 the SWP split into factions representing the historic Jewish quandary since the rise of Zionism and Marxism side-by-side, forming the pro-Zionist Palestine Communist Party and the anti-Zionist Communist Party of Palestine. The founder of the Egyptian Communist Party in 1922 was Joseph Rosenthal, whose daughter Charlotte, trained in Moscow, acted as a courier between Egypt and Palestine. The delegate of the “Egyptian communists” to the Congress of the Third international was Avigdor Weiss. The Palestine Communist Party was formed in 1923, with Leopold Trepper as party leader. Although the party was obliged to adopt an anti-Zionist position to be accepted into the Comintern, Trepper had been a member of Hashomer Hatzair (Youth Guard), a Zionist socialist organization that had been a pioneer of the kibbutz movement in Palestine. After being the head of a Soviet espionage network (“Red Orchestra”) in Nazi occupied Europe, he spent time in Stalin’s prisons and went to Poland in 1955 where he became head of the Jewish Cultural Society. Trepper returned to Israel in 1974 and although having maintained his revolutionary communist fervor, when he died in Jerusalem in 1982 his funeral was attended by Zionist and Government luminaries, including defense minister Ariel Sharon. It is interesting to note that the Arab general strike of 1936 divided the Jewish and Arab nationalist factions within the Palestine Communist Party, as the Jewish labour union Histadrut was supporting the displacement of Arab workers by Jews, and the Jewish faction of the Communist Party adopted a position less critical of Zionism in seeking not to alienate itself from the Zionist socialist movement. Another communist movement founded in Egypt was Iskra, established in 1942 by Hillel Schwartz. Interestingly, the organization did not have an Egyptian Muslim in its leadership until 1947, Shudi Atiya ash-Shafi, an academic who quit within the year. The Soviet Union was an international counterpart of Zionist construction and created a feeling of affinity. One can find earlier signs of admiration for the Soviets in Ben-Gurion’s eulogy for Lenin, written in 1923, where he shows Lenin the highest regard by comparing Lenin to himself. Hoping to destroy the British Empire, the Soviets believed the Jews in Palestine were a catalyst in this process and helped their effort for the establishment of the State of Israel.